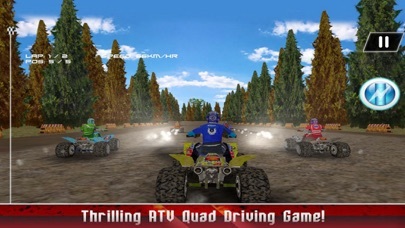 Champion ATV Quad Bike is a 3D game that you can choose different ATV Quands and run in the roads ! Be the competitive offroad rider by racing fast quad bike and test your offroad driving skills. Join the ultimate off-road rush as you compete with other crazy drivers for the 4x4 championship! 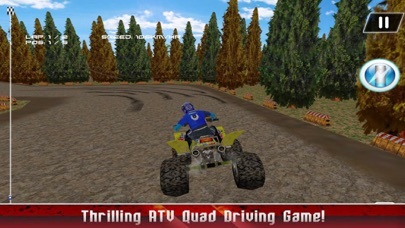 Quad bike 3D brings you a mind-blowing motorbike game filled with fun! If you like ATV quad bike racing games then test your real offroad driving skills and challenge your friends by achieving best scores. Reach the finishing point by making your way through each obstacle. 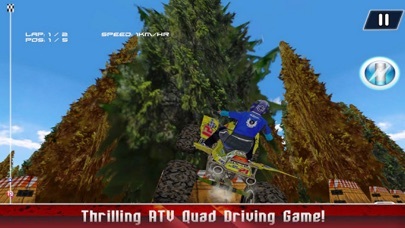 Enjoy the amazing advanced real bike physics and fast-paced gameplay in this high speed off-road Quad Bike racing adventurous game. Features: - Best high speed offroad Quad bike racing game - Intuitive controls for real 4x4 game experience - High quality 3D beautiful stunning graphics - The most realistic ATV quad bike racing simulation - Awesome off-road tracks in amazing environment - Realistic physics controls for stunt racing.